Eggs are a mainstay of the Brisbane breakfast experience, and we'd be lost a Sunday without them. But a simple poachie just isn't cutting it anymore. We want more from our eggs. A scientific study a few years back identified that the way you prefer your eggs says a lot about your personality. While a good poached egg will always be the marker that we use to grade a breakfast café, we've come to expect something more creative from Brisbane's best breakfast spots. But what are the hippest egg dishes out there and who is doing a cracking job of serving up eggs in Brisbane? Let's find out, shall we? 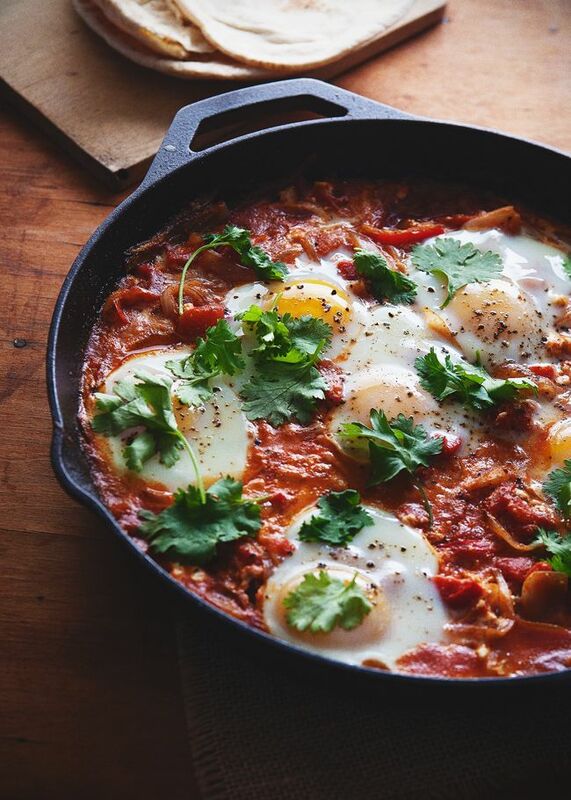 Shakshouka is a Tunisian dish that is traditionally served for breakfast straight from a cast iron pan or tagine. Eggs are poached or baked in a vegetable ragout of tomatoes, peppers, onions and spices like cumin. Gerard's serve their shakshouka with tomato and roasted pepper, merguez, blackened onion and hung yoghurt. And Shouk's comes with olives, toasted challah, and Persian fetta. 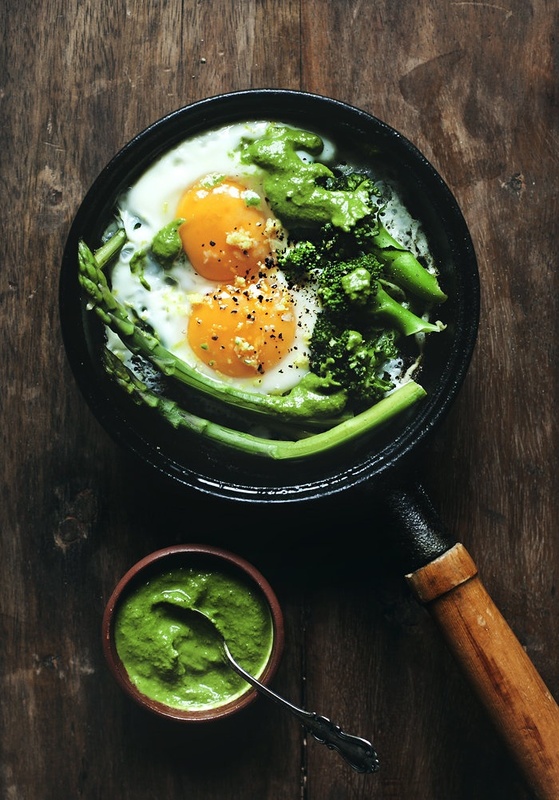 When it comes to food trends, this is top of the list for egg dishes at the moment. Part of the waterbath movement, it involves slow boiling your egg at exactly 63 degrees for around an hour. The result is an evenly cooked yolk and white. While possible to do at home, this technique is probably best left for the experts. Try The Foraging Quail's 63 degree egg with baby vegetables, celeriac, wild rice and olive soil. Or 'shirred' eggs, are eggs that have been baked in a gratin dish with a flat bottom (which is monumentally different from Shakshouka, in case you were wondering), and are traditionally cooked with butter and bread crumbs on top to create a crunchy crust. Abode Café do a delicate eggs en cocotte, Lady Marmalade's classic baked eggs come with house beans and toast soldiers, and the Aunty Five's Claypot Baked Eggs at Café O-Mai are a delight. South Brisbane's delightuful Hoo Ha Bar do a wicked hot sopressa with fried quail egg and manchego en croute. Public's Duck Egg and Truffle Toast is pretty much iconic. Billy Kart Kitchen's Aussie Asian Breakfast, with duck egg, 2 king prawns, bacon and chilli is a fresh take on a breakfast classic. And Bird's Nest Yakitori's Shiratama (quail egg skewers) are a almost too cute to eat. Almost. Or if you'd like to do some egg-sperimenting of your own, try our simple shakshoukah dish for a weekend brunch and let us know what you think. In a cast iron pan, cook the onion, capsicum, chilli and garlic over a medium heat until soft. Add the tomatoes and spices, then reduce to a simmer. Crack the eggs, one at a time, into the tomato mixture. Cover the pan and simmer for 8-10 minutes or until the eggs reach your preferred consistency.